What is the benefit of using a subwoofer in a recording studio? 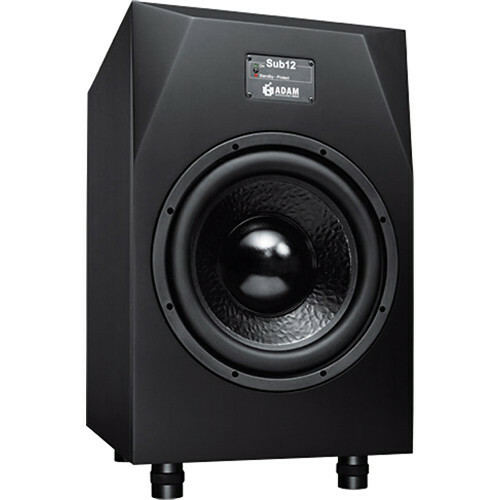 The Sub12 from Adam Audio is a powerful 12-inch subwoofer ideal for use in larger control rooms. It provides a frequency response of 22-150Hz and offers rear-panel gain control and filter adjustment. The Sub12 reflex tubes fire downwards, avoiding noise due to the size and construction ventilation of the unit. Powered by an internal 300W RMS amplifier, the Sub12 offers both XLR and RCA I/O connectors for compatibility with almost any system. Box Dimensions (LxWxH) 27.9 x 23.5 x 18.5"